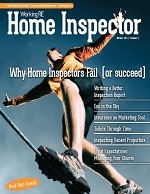 Inspector’s E&O Insurance: Market Softens- Prices Drop – $1,250! Instead of the now familiar direction to “shop ‘till you drop,” new insurance conditions suggest instead that inspectors should shop because they’ve dropped. We’re talking about rates for errors and omissions insurance of course. The market is finally softening back to where it was before 911 and the good news is that you have more choices than ever– broader coverages and lower rates. If you are a single inspector and haven’t shopped for awhile you will be surprised at the lower premiums now available. Minimum premiums for policies with very broad coverage including errors and omissions, general liability, free prior acts, coverage for Referring Parties, radon, pest, commercial and more, are as low as $1,250 (OREP)! Multiple-inspector firms also are benefiting from the new market. Here are a few shopping tips to help you make an informed decision about these and other issues, such as Occurrence versus Claims Made, preserving prior acts and more. Covering Multiple Inspectors: Paying more than you have to? If you pay “per inspector” to cover your multiple-inspector firm you are probably paying more than you have to. This also is true if you pay extra for “corporate coverage,” pest, radon or commercial inspections. If you have risked not covering every inspector doing work for your firm in the last few years because the cost became prohibitive, there are programs today (such as OREP) that will cover all inspectors for one low premium, including independent contractors. If you are reluctant to switch carriers because you are worried about losing coverage for past inspections, or if you pay more year after year for an Occurrence policy, believing that this is the only way to preserve prior coverage, most programs now offer prior acts for free. You can enjoy the lower rates of a Claims Made policy and preserve your prior acts. Claims Made provides coverage for claims that are made and reported during the policy period. What does this mean? It means that claims are covered for as long as the policy is in force- one year, ten years or longer, as long as coverage is continuous (no break in coverage). * Don’t let your policy lapse: if you are renewing with your current carrier, renew on time (on or before expiration) to preserve your prior acts. * If you stop inspecting and no longer need or want insurance, consider purchasing Extended Reporting or Tail Coverage to cover the inspections completed while insured. It follows then, that if you’re renewing your policy with the same company, make sure to renew on or before expiration. It’s that simple. OREP provides multiple reminders as your expiration draws near to make certain you know your policy is expiring and what is at stake, including by mail, email and phone. If money is tight, financing is available. It is always wise to follow up to make sure your new or renewal application has been received by the office. To qualify for prior acts from a new carrier, there must be continuous coverage. What does this mean? It means you must switch on or before your current policy expires so there is no break in coverage. Most companies have a question on the insurance application that asks if you have current coverage for this reason. If you indicate you have insurance, you will be asked to provide proof of coverage (your Declarations Page). If you can’t find your Declarations Page, ask your current agent to resend it. That’s what you pay us for. Always check the dates on this document to make sure coverage goes back as far as it should. Give yourself sufficient time to shop before expiration for the reasons explained but if your insurance company pressures you for a renewal decision well in advance of your expiration date (or they imply you risk losing your prior acts coverage if you don’t renew with them), they may be trying to limit your ability to shop. You can guess why. Remember this: you don’t have to stay with your current company to preserve your prior acts nor do you have to purchase an Occurrence policy. You can preserve your prior acts as long as you switch coverage before it expires. Each company is different, so make sure to ask your agent how long your grace period is, in case you need it. Don’t give in to the pressure to make a quick decision but also avoid problems by shopping in advance: always renew or switch on or before expiration. If you choose to stop inspecting and to terminate or not renew your insurance, you can keep coverage for past inspections with optional Extending Reporting Period or Tail Coverage. Extended Reporting or Tail Coverage is offered by most Claims Made carriers for additional premium. There is peace of mind in knowing you’ve done the numbers, understand the issues and are making an informed decision. Due to changes in the insurance market, if you haven’t done the numbers lately, you owe it to yourself and your business to compare coverages and prices. This is especially true if you pay “per inspector” for your multiple inspector firm or if you pay extra for “corporate coverage,” pest, radon or commercial inspections. You have more choices, make your decision an informed one. David Brauner is Senior Broker at OREP (www.orep.org) and has been involved in providing E&O insurance for home inspectors for 16 years. He is licensed in 49 states. Calif. insurance #0C89873. He can be reached at: dbrauner@orep.org or (888) 347-5273.